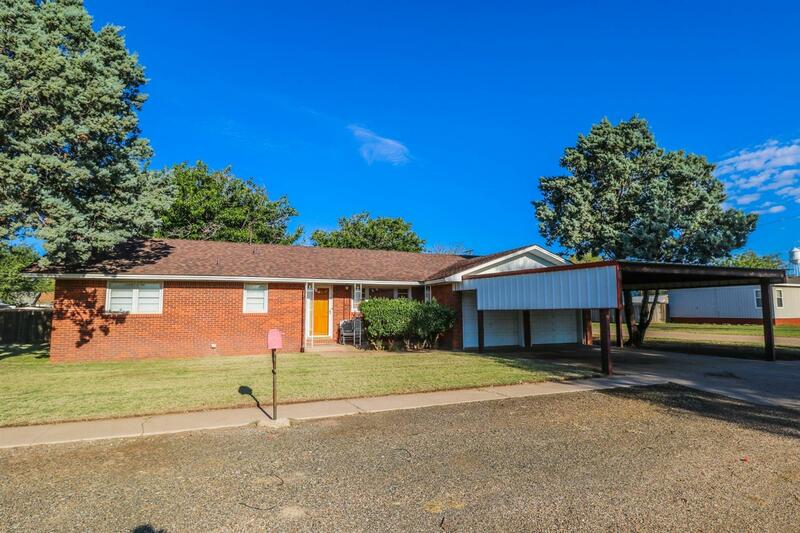 Well maintained corner lot home in Sudan Texas just a few blocks from Sudan ISD. Home efficient floor plan that boasts an open concept living, kitchen and dining area and a master ensuite. Entire house is equipped with pocket doors making every square foot of each bedroom and closet very usable. Home has good flooring with vinyl plank in Kitchen and utility and freshly cleaned carpet in living and den. Home has beautiful wood cabinets and a beautiful built-in bookcase along with covered patio and huge backyard. Home exhibits pride of ownership and comes with lots of extras including ICM Carport and cement storm cellar.